I have always found the archetype of the “magician” compelling and empowering. The idea that someone, through their own introspection and hidden lore, could access supernatural power – could gaze into the future, turn into a bird, do all sorts of things – that always captivated my imagination. For that reason, as a child I always preferred fantasy stories in which magic could be good as well as evil, and disliked tales in which magic was mainly the province of villains (such as the Conan stories, Macbeth, or Faust). That being the case, Gandalf the utterly benevolent wizard was always my favourite character in The Hobbit and The Lord of the Rings, with the runner-up being Beorn, the man who can turn himself into a bear (and thus something of a magician himself). Thus, I felt a profound sense of betrayal when I discovered, many years later, that Tolkien had written his five wizards (Gandalf, Saruman, Radagast, and the two Blue Wizards) not as magicians as I defined the term (mortals who had unlocked supernatural power) but instead as angels (maiar spirits) disguised in mortal form, emissaries from the Undying Lands sent by the gods to confront Sauron. For me it turned Middle-Earth inside out, for now it seemed that the only truly human magicians of that world were evil sorcerers (such as the Witch-King and the Mouth of Sauron) – which was not the sort of fantasy I wanted at all. As an adult, I am much more willing to recognize the problematic aspects of the magician archetype, its bad as well as its good, and am far more accepting of stories in which all mortal magic is corrupt. That said, it is still a peculiar element of Middle-Earth. After all, modern high fantasy is usually filled with benevolent wizards, and to many, Lord of the Rings is the ultimate archetypal high fantasy story. Thus, I returned to the world of Middle-Earth, reading between the lines to see if it indeed had any magicians as I define the term (regular people who learn non-malevolent supernatural powers). In Tolkien, the term “wizard” is only used with the Five Wizards, who are secretly angels, while “sorcerer” is entirely a negative term for humans who have made pacts with Sauron in return for power. No one who falls into neither of these categories gets a general magic-using noun (magician, enchanter, etc.) applied to them. But does that mean they don’t exist? Many elves clearly possess supernatural powers. Elrond summons up a flood in Fellowship of the Ring, while Galadriel has a scrying pool; furthermore, it is implied that their respective powers are what stops Sauron’s forces from invading their homes. There are elves in The Silmarillion who can change their form and control the weather. The wood elves in The Hobbit have magic. Characters such as Frodo and Sam talk about “elf magic” in ways that they never reference “human magic” or “elf magic.” That said, I don’t quite feel that the elves match my magician archetype. To me, a magician has always meant someone who, through skill and will, has unlocked powers beyond the grasp of others of their ilk. They are mortals who have stepped a little closer to the gods. However, Tolkien’s elves are basically demigods themselves, immortal beings who seek to be reunited with their divine “big brothers” and who just naturally possess numerous powers that humans lack. In fact, various elves become confused when hobbits ask to see their “magic,” as for elves this is all just regular talents that they possess, no more magical then their skill with a bow. Things become far more interesting for me when I look to see if any mortals (humans, dwarves, or hobbits) can possess supernatural abilities without making pacts with Sauron. The aforementioned Beorn is the most prominent example, a being who Gandalf theorizes is either a bear who learned how to turn himself into a man or a man who learned how to turn himself into a bear – and who becomes the patriarch of a whole group of humans (the Beornings), who also possess a certain ursine kinship. Other mortals it seems have learned to access particular powers – Bard and many other people of Dale can speak with animals, certain dwarves know the corvid language, certain humans (such as Aragorn) are capable of prophecy, there is even a seer referenced once or twice; “seer” is the only official term ever given to a benevolent human magician. Interestingly, Aragorn seems one of the closest things to a magician the story has, both due to his aforementioned fortune-telling and his mastery of certain herbs. Beorn is another figure of course, who actually expressed scorn for wizards. These two people, despite their supernatural powers, come off as being more as warriors than traditional wizards – they have magic, but spells and staves do not define their identity. 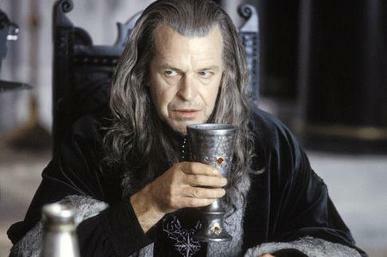 Probably the most “magician-esque” human to appear in Tolkien is Denethor, the Steward of Gondor. He is described as a sagacious and powerful figure who Pippin feels looks like a wizard more than Gandalf does, and whose will is so great that he can communicate telepathically, read minds, and possibly psychically attack. The novel is surprisingly brief about his abilities, quickly mentioning them but not dwelling too long. They’re not treated as too unusual. In Middle-Earth, it simply seems that especially strong-willed humans can have psychic abilities. It’s part of nature. Which is, interestingly, the role the “magician” takes in Tolkien. Wizards and sorcerers have supernatural powers because wizards are supernatural beings and sorcerers have bound themselves to a darkly supernatural force. If a mortal wishes power but does not want to taint himself, he must turn to certain techniques that are supernatural to us but which seem to be simply the specific functioning of Tolkien’s world – a sort of occult science. Anyone with enough lore can learn how to speak to animals or unlock almost magicial abilities in healing herbs. One can even learn telepathy or prophecy if the will is great enough. These people are not called “magicians” or “enchanters” because they don’t flaunt their abilities as supernatural. They perceive them as simply talents or skills. The only such magician treated as something strange and other is Beorn, but he seems to be the obsession rather than the rule. I think the child within me is satisfied that “magicians” do exist in Middle-Earth. They are subtle rather than flashy. Though they don’t even consider themselves to be magicians, they are still mortals able to access wonderful things. That’s good enough for the archetype and good enough for me. I love fantasy fiction for numerous reasons, and one of the big ones is that it has no set rules. You can create whatever stories you want — stories with dragons and wizards, time running backwards, conversations with God, whatever you could possibly imagine. As this is such a diverse genre, it’s fascinating to read fantasy authors talk about why they like fantasy and what they feel is most important when writing a good fantasy story. As I mentioned previously, there are no set rules for fantasy. Any time someone says “fantasy must have this” or “fantasy must not have this,” I can think of numerous good tales that break those rules. That said, looking at each person’s personal “do’s and don’t’s” can give a lot of insight into each author’s thought patterns and help to give aspiring writers some ideas of what direction they want to go. I do not look on these as “must have” or “must not have” but “perhaps” or “perhaps not.” They are rules that have certainly worked for the people in question. Creator of such classic SF as The Time Machine, The Island of Dr. Moreau, War of the Worlds, and The Invisible Man. Though he is generally considered a science fiction author instead of a fantasy one, Wells in contrasting himself to Jules Verne certainly considered his work fantasy. He was not interested in exploring real scientific possibilities but in using a thin veneer of science to give his fantasy stories slightly more plausibility (The Invisible Man is basically about a sorcerer cursed by his own spell, only making it a potion to help suspend the reader’s disbelief). Well’s Rule: That anything in the story not the fantastical part should feel very normal, mundane. Even boringly so. If everything else seems so conventional, it makes the fantasy elements seem more fantastical in contrast. Commentary: Contract between the natural and the supernatural certainly helps to make the supernatural seem stranger. However, I wonder what Wells would have said about stories set entirely upon alien worlds (such as Dan Simmons’ Hyperion) or within mythopoeic stories about realms entirely created by the author (such as Tolkien’s Middle Earth). That said, even they have elements of normalcy — habits and routines in their characters, mundane needs — that we can relate to, and are necessary for grounding the events and thus making the fantasy believable. 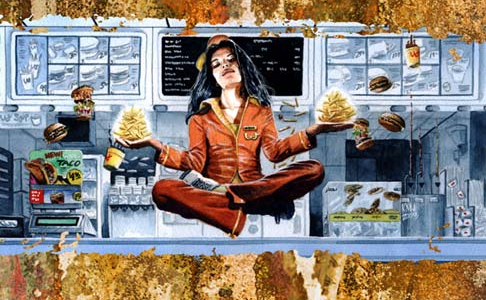 The Message: There should have some elements of the normal and the mundane to ground the supernatural elements. Moments of mundanity can make the fantasy elements more fantastical by comparison. One of the most prolific (though disorganized) world builders of fantasy; in his case he built an entire universe. His most famous creation is the monstrous proto-god Cthulhu (and indeed, the “Cthulhu Mythos” is the most common term for the setting of his stories), but Lovecraft created a whole dark pantheon of gods and demigods, demons and monsters, and a history of the universe that stretches deep into the prehistoric past and cosmic future — a history in which humanity plays an infinitesimal role. Lovecraft’s Rule: Paradoxically, Lovecraft was a devote and committed atheist who saw fantasy (or “weird fiction,” as he called it) as a way to achieve a feeling of numinous wonder and awe. Though he is mainly known as a horror author, he actually felt producing this sense of awe, that the reader was touching some new deeper reality, was more important than terrifying people. Just that Lovecraft found it easiest to produce awe through fear, and thus most of the stuff he wrote was horror. This desire influenced his ideas of how fantasy should be written. He felt that often the best fantasy writers were atheists like himself, who did not believe in the paranormal — because then they choose supernatural elements for their story based on what they feel would be the most dramatically relevant, not what they feel is “real,” and furthermore, the supernatural then feels strange, unreal, and incomprehensible, whereas a practicing occultist would often perceive the supernatural as matter-of-fact and even mundane. Lovecraft conceded that many of his favourite fantasy authors, such as Algernon Blackwood and William Hope Hodgson, were believers and even practitioners of the occult. but Lovecraft also felt that these people’s writings were better when they were bringing things from their own imagination rather than from their spiritual beliefs. Commentary: One can certainly see Lovecraft’s point. Fantasy is at its most powerful when it is engaging the reader with its emotional intensity, moving the reader into a different realm. Someone’s spiritual beliefs can certainly get in the way of that, resulting in something that seems dull or pedantic, rather than strange. For example, when Hodgson’s stories start to approach real occult beliefs, they lose a lot of their strength, and appear more mundane. That said, authors incorporating their own spiritual beliefs have also added a lot of depth and intensity to their work. It is impossible to imagine C. S. Lewis’ SF without its ascendant Christianity or Grant Morrison’s graphic novels without his bizarre chaos magick. But then, in their works the supernatural is never mundane or conventional. 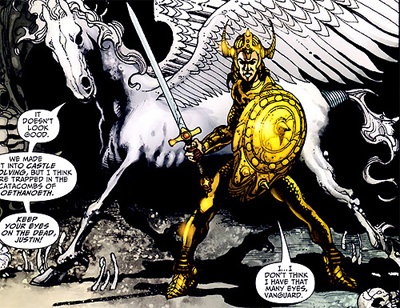 Lewis’ angels are just as numinous and unknowable as Lovecraft’s dark gods (though more supportive of humanity) while Morrison’s magick is as weird as anything in Lovecraft (weirder in most cases). The Message: Do not be bound by your own beliefs when creating fantasy. You certainly can draw upon them, and that can give your writing a lot of depth. However, you should not be restricted by them. Ask yourself how should the supernatural be displayed in the way that best serves the story. A highly eccentric clergyman at the dawn of the 20th-century, Montague Summers was most famous for his various books on occult subjects such as vampires, werewolves, and witches, and for his belief that such being exist and form the Devil’s army. Summers was also one of the few people of the 20th-century who spoke in favour of Europe’s various witch-hunts and did the first English translation of the witch-hunter’s manual Malleus Maleficarum. He also adored horror literature and compiled three anthologies of supernatural stories. Commentary: This is a bold claim and one that Summers quickly walks back just after he says it. He felt the best fantasy author was Sheridan Le Fanu (most famous for “Carmilla”), but as Le Fanu had no real belief in the paranormal, Summers shifts his claim slightly to say that even if the author does not literally believe in the supernatural, he must still respect it on some unconscious level — which Summers argues that Le Fanu does. Though Summers raises an interesting point, there have been numerous potent fantasy pieces by staunch atheists. The aforementioned H. P. Lovecraft wrote some of the most influential weird fiction of all time, and numerous other atheist authors have written powerful pieces and evocatively believable words, from Michael Moorcock to Douglas Adams, Terry Pratchett to Warren Ellis. The Message: Every author must take his world seriously. It doesn’t just apply to fantasy or science fiction authors. If you are writing a romance or a western, the characters, their struggles, and the story need to matter to you. They need to seem real. A fantasy author must believe in his world; that’s very important. That said, he doesn’t need to believe that all the elements of his world exist in ours as well. Discworld clearly mattered to Terry Pratchett on a fundamental level; Dirk Gently’s encounters with the impossible were important to Douglas Adams. The fact neither of those men believed in the paranormal didn’t change that. H. P. Lovecraft’s uncaring universe is powerful because it is fueled by his atheistic existentialism just like C. S. Lewis’ strange angels are powerful because of his own nervousness of gazing at God’s face. There is certainly room for both in the genre. The fantasy author who needs no introduction. For many people, The Hobbit was their introduction to fantasy novels and The Lord of the Rings is their defining fantasy tale. Tolkien is the whole reason why many people think elves, dwarves, and goblins are necessary for magical worlds. 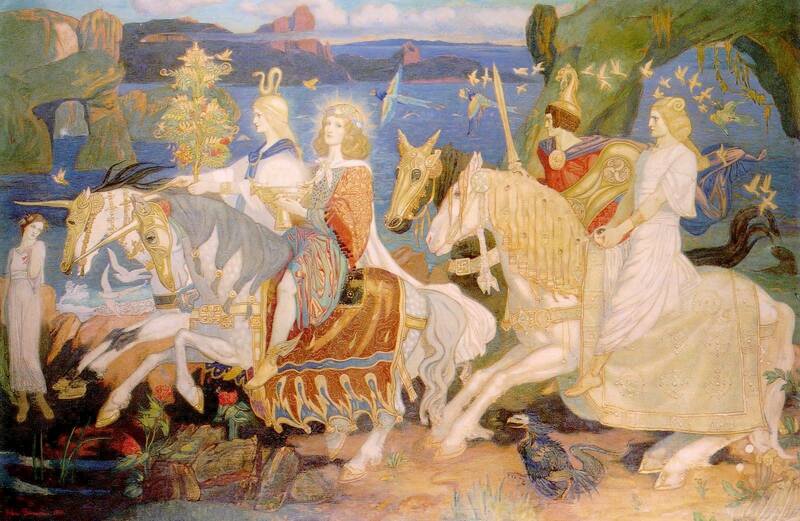 Tolkien’s Rule: J. R. R. Tolkien coined the term “mythopoeia” (“myth-making”) to refer to the process of creating your own fictional world with its own geography, history, mythology, etc. He believed very strongly in this idea, which encouraged him to produce Middle Earth, certainly one of the most detailed and believable fantasy worlds. As part of this drive to myth-make, Tolkien felt that a fantasy world needs to be internally logical and self-contained, where everything fits together thematically and seems true to itself. As part of that, he felt fantasy fiction is more effective if it was free of any explicit supernatural elements that match what the author believes in. For example, Tolkien was a Catholic and believed in literal angels and demons, and so he went out of his way to have any good or evil spirits showing up in his stories be very different from “real” ones, instead appearing as ancient demigods and giant animals. He disliked the explicit Christian elements in King Arthur stories and hated Narnia for its very prominent Christian imagery, its mixing of creatures from numerous mythologies (Greek satyrs standing side-by-side with Norse dwarfs and a Babylonian-esque man-headed bull), and most of all its presence of Santa Clause, a being from modern Christian folklore. 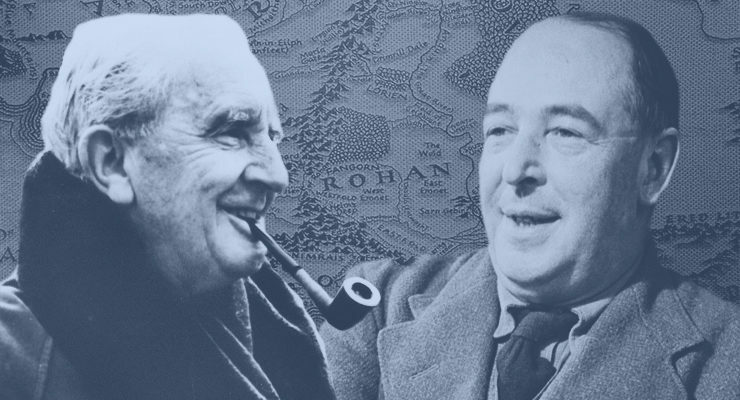 Commentary: Tolkien had some very specific ideas of what he wanted a fantasy world to be. He wanted it to be totally different from our own, with not just its geography and history but its cosmology and mythology quite unlike ours. But one does not need to create everything to tell a powerful story. I think having a lot of focus is really important in your own writing — you should have very specific ideas about what you want your fantasy world to be. However, there are big differences between the specific ideas you have about the stories you want to write and the world you want to create and the specific ideas you have about the stories others should write. There is a lot to be said for Lewis’ modern supernatural fiction (such as Screwtape Letters and That Hideous Strength), which draw upon his own beliefs, as well as numerous fantasy stories that a world that combines the sensibilities and myths of numerous cultures (such as Peter S. Beagle’s The Last Unicorn or Neil Gaiman’s Sandman). No author should feel compelled to model his or her writing process after Tolkien. The Message: Think about the reality of your fictional world and think about the rules that govern it. Do not bring in elements that break the rules of your reality, but also do not feel bad about developing the world your own way. The Last Unicorn remains one of the most powerful fantasy novels ever written, despise the fact that it has a character who claims to be the historical basis for Robin Hood and who name-drops John Henry, because that fits the strange timelessness of the world. Write what makes sense to your world, not someone else’s world. Most famous for the Chronicles of Narnia, though C. S. Lewis also wrote a wide variety of strange tales of fantasy and science fiction for grown-ups, including his Cosmic trilogy, the Screwtape Letters, and ‘Til We Have Faces. A phenomenally well-read person, Lewis was intimately familiar with a wide variety of fantasy literature, and incorporated a wide variety of influences into his own work. Lewis’ Rule: He felt that any fantasy or science fiction story should focus primarily on the fantasy elements — they must be front-and-centre to what is going on. He had no interest reading a romance that just happened to be set on another planet or a murder mystery on a parallel universe. The focus should be on the protagonist exploring this strange reality. Thus, he was very interested in the first visit to a planet, but not the second visit — for with the second visit, the experience would not be fresh and strange for the protagonist, and thus not for the reader. This can be seen in Narnia, where in each story the characters find themselves either in a totally different country or after a long period of time (such as a 1000 years), so that each appearance is fresh. Likewise, in the Cosmic trilogy, each planet is only visited once. On a similar note, Lewis feels that fantasy protagonists should be relatively simple psychologically, with not much time spent exploring a lot of deep internal struggle – for that moves the focus away from the exterior fantasy world. Commentary: One can certainly see where Lewis is coming from. Like Lovecraft, Lewis is perhaps most interested with having fantasy produce a particular “feel,” creating a potent numinous experience. Though Lewis’ characterization and plot may sometimes feel a little flat, nothing beats his description, the mood and imagery of his scenes. One can definitely see the important of keeping the fantasy front-and-centre. If your story does not concern itself too much with the fantasy elements, then why make it fantasy at all? And, of course, there have been numerous marvelous works of fantasy literature that feature characters with relatively little interiority: Lemuel Gulliver of Gulliver’s Travels, Alice of Alice in Wonderland, Lewis’ own Elwin Ransom of the Cosmic trilogy. They exist mainly to be the eyes of the reader in exploring the fantasy world. 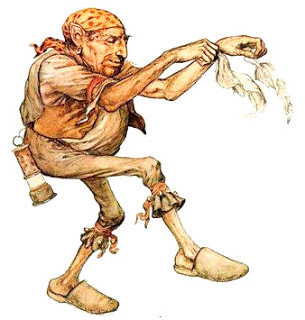 That said, the “Guards” series in Discworld are some of the best fantasy ever written, and are police procedurals in a fantasy city with much of the conflict internal person vs. self, and which is a world and even a city that Pratchett returns to again and again, but still somehow always feels fresh. The comic Elfquest Wendy and Richard Pini also engages in deep psychological exploration, and in that case the same community is returned to again and again over numerous generations, but in a way that never makes it feel mundane. The Message: The fantasy elements must be important to the story and the story should feel magical not mundane. That said, there are numerous ways that this fantastical element can be maintained, whether it is about a person exploring a new fantasy world or about someone trying to live their life in a strange place we have met before. Always think about how you want to present it in your own story. Fantasy is an amazing genre because you can do literally anything you want with it. Everyone has their own idea about what fantasy is and what they like about it. Understanding an author’s reasons behind their own fantasy ideas can be very insightful in learning why that author makes the choices that they do, and it can give other authors insight into their own fantasy. That said, perhaps the most important piece of advice for writing fantasy or anything else is that you must make it your own — write it your way, whatever is comfortable to you. Don’t write it the way someone else wants it written. If you told people you were looking for a modern retelling of the original version of King Arthur, they’d likely assume you meant a pseudo-historical one and would most likely direct you towards Mary Stewart’s Arthurian series: The Crystal Caves, The Hollow Hills, The Last Enchantment, and The Wicked Day. The first three star Merlin while the final one focuses on Mordred, and they’re the most famous Arthur stories that are grounded in the actual 5th century rather than Mallory’s pseudo-middle ages with knights and tournaments and whatnot. So, how “Welsh” are they? Most “historical” takes on Arthur (such as Jack Whyte’s Dream of Eagles series, Marion Zimmer Bradley’s Mists of Avalon, or that abysmal 2004 King Arthur movie) have utterly no interest in incorporating the original sources, instead either just placing the Mallory stories in a more historical context or going off in their own direction – basically just telling a piece of historical fiction and then slapping the “Arthur” tag on it. However, Mary Stewart’s jump-off point actually is a medieval text, though not really a Welsh one: Geoffrey of Monmouth’s History of the Kings of Britain. The Crystal Caves is a pretty faithful adaptation of all the Merlin parts from the History, with various extra bits that explore Merlin’s childhood and education, presenting a compelling figure who is basically a proto-scientist. 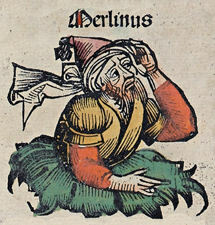 As with the History, basically Merlin’s only supernatural abilities and all his other “magic” is accompanied through knowledge of engineering and herbalism, and the occasional exploitation of superstition. Its various references to Welsh culture and folklore feel valid, and its reliance on pre-Romantic sources does mean that even if doesn’t always feel quite mythological, it doesn’t usually feel very Mallory. The later books do move away from the History (mainly because they are about Merlin’s relationship with Arthur, even though Geoffrey never had them meet), and thus draw more on the later Arthurian Romances, though Stewart also incorporates elements from Welsh folklore, such as the idea of there being more than one Guinevere, that Mordred was not entirely villainous, and that King Arthur’s sword was previously Emperor Macsen’s (an interesting choice, especially because “The Dream of Macsen Wledig” is actually the one native tale from the Mabinogion that normally has nothing to do with King Arthur). However, some of the Welsh elements are merely window dressing, such as Stewart changing Lancelot’s name to “Bedwyr,” so that she can still have the Lancelot-Guenevere-Arthur triangle but feature a warrior with a more authentically Celtic name. 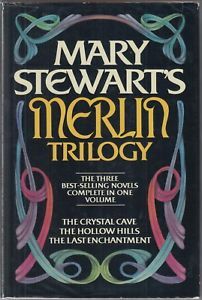 Though reading Mary Stewart’s books won’t give you a good feel for early Arthurian mythology, it does a good job exploring the culture of that time period and adding various tidbits of folklore when it suits her purpose. In fact, with the exception of direct adaptation of folklore, such as Dr. Gwyn Thomas’ marvelous Quest for Olwen, Mary Stewart’s works is probably the most authentic stuff out there, and certainly some of the most well-written. 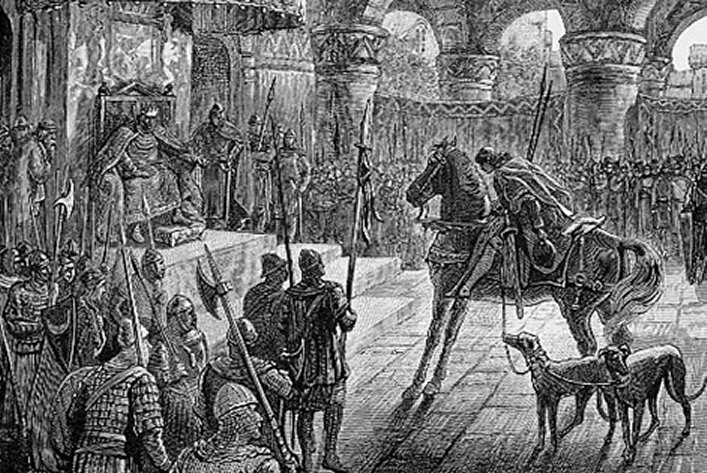 Here is the first in a series of articles where I analyze various King Arthur stories and contrast them with the original Welsh stories. 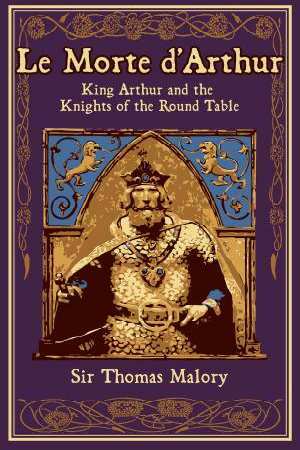 At first let’s start with the most famous one, Sir Thomas Mallory’s Le Morte d’Arthur as well as the related Roger Lancelyn Green’s King Arthur and his Knights of the Round Table. French Names: Lancelot du Lac, Mogan la Fey, Beaumains, La Cote Male Tayle, the very title itself “Le Morte d’Arthur.” As a book largely based on the French Romances, French names appear throughout Le Morte d’Arthur. As Lancelot himself is supposedly from France, “du Lac” may make sense, but Morgan was raised in Cornwall and then moved to Wales — so why exactly is she “la” Fey? The predominance of such names, along with all the courtly imagery, makes the whole thing feel like French folktales as opposed to Brythonic ones. Lancelot and other French heroes: Lancelot and Galahad are characters created by the French romancers, and are treated as the greatest knights of King Arthur’s court. Conversely, many of the early Brythonic champions, such as Kay (Cai) and Gawaine (Gwalchmai) instead become bad-tempered foils for the “real heroes,” while others such as Bedivere (Bedwyr) have become forgetfully minor figures. 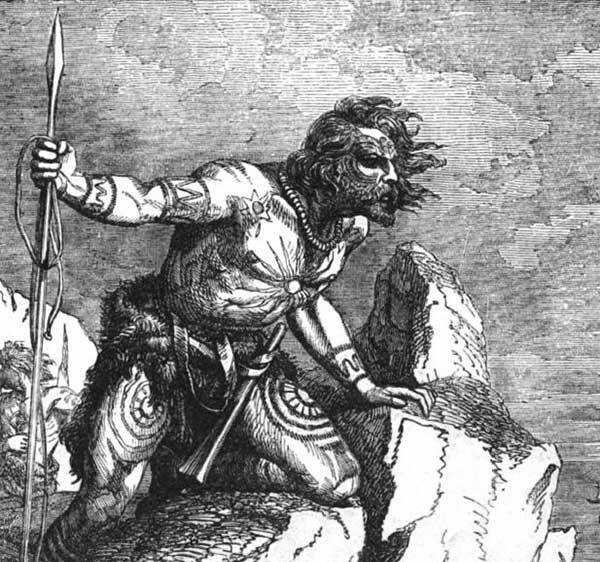 Having Gawaine as a savage vengeful figure is especially odd, as in the Welsh stories, Gwalchmai’s defining trait is his courtesy. Tristan and Percival are authentically Welsh and treated with respect, but they’re still very clearly second banana to the French figures – Tristan being the second greatest worldly knight after Lancelot and Percival the second holiest knight after Galahad. The Holy Grail itself is not present in any Welsh story, and so its defining role in Mallory (as well as Galahad and Lancelot’s relationship to it) moves the story in a very different direction. Courtly Chivalry: The Mallory stories are very much set in the Middle Ages. No mention is given of invading Saxons or Picts, no appearances of Ambrosius, Vortigern, or other semi-historical figures. Furthermore, there is an obsession with tournaments and courtly love, and especially champions jousting against knight after knight, causing each to declare loyalty to the champion and King Arthur. Very different from the much wilder giant-slaying and tribal wars of the earlier native tales. Lack of Fantasy: Perhaps the most surprising element of the Mallory stories is the general lack of fantasy elements. They are clearly not the focus. Though there is Merlin, most of his magic is confined to vague prophecies of doom and creating monuments to the knights’ failures. There are very few dragons and giants, barely any fey — most of the more fantastical King Arthur stories (“The Green Knight,” “The Loathley Lady,” etc.) are missing. Though Mallory does include various Christian miracles, including, naturally, the Holy Grail, he is clearly uninterested in most other flights of fancy. For him, much more drama is found in knights tilting against each other than in encountering sorcerers and monsters. This is, of course, very different from the Welsh stories. Most of the Welsh champions have super powers, and they rarely fight human adversaries — giants, dragons, werewolves, witches, fey warriors, talking animals — these are who Arthur and his court pit themselves against. King Arthur and His Knights of the Round Table. Roger Lancelyn Green was a member of the Inklings, a close friend to J. R. R. Tolkien and C. S. Lewis, and the man who most encourage Lewis to publish his Narnia series. Green is best known for his series of mythology adaptations (Greek, Norse, King Arthur, Robin Hood, etc.) and for trying to draw upon as wide variety of sources for his books. That’s why Robin Hood gets his treacherous servant Worman and battles the Witch of Papplewick while his take on Norse myths references Saxo Grammaticus and a Faroe Island folktale. Saxon References. Though Green doesn’t give any focus to any of the pseudo-historical King Arthur’s Saxon wars, he does reference them at various times, clearly placing his tales in their timeline, even though he doesn’t shy away from knights, tournaments, and other medieval trappings. Welsh Romance. Green includes “Geraint and Enid,” one of the three Welsh romances from the Mabinogian. Sense of Fantasy. Green adds “The Green Knight,” “The Loathley Lady,” and a non-Mallory version of Tristan. Though none of these are based on specific Welsh stories, they are still stories of heroes wrestling with monsters and enchantment rather than jousts and tournaments. They feel more primal, inspired by old and wild folktales from an old and wild people. Less Tournaments and French. Just the fact that Green’s book is far shorter than Mallory’s and adds a lot that Mallory doesn’t include means that a huge amount of Mallory gets cut. A lot of the repetitive jousts after jousts are removed with their variously coloured knights and many of the French names (such as “La Cote Male Tayle” and “Le Morte d’Arthur”) are gone. Tristan, in particular, feels much more like an Celtic folk hero than a Norman knight. So Green’s book is more “Brythonic” than Mallory’s (it could hardly be less), but still firmly on the Romance side of the Romance vs Welsh divide. Next time we’ll take a look at how some more modern books compare. When I started doing research for Wizards of Wales (which I have now renamed Enchanters of Britain), I started taking a look at a lot of Welsh folktales a lot more closely than I had done before. In exploring them, especially the bizarre romp “Culhwch & Olwen,” I discovered a version of King Arthur that I hadn’t previously known existed, despite being a big King Arthur fan ever since I was a child. Sadly, the original Welsh version of King Arthur has been eclipsed by the knightly romances of Chrétien de Troyes and Sir Thomas Mallory, and by the modern obsession with finding the “real” King Arthur, some British or perhaps Sarmatian warchief fighting against the Saxons back in the 5th century of history. 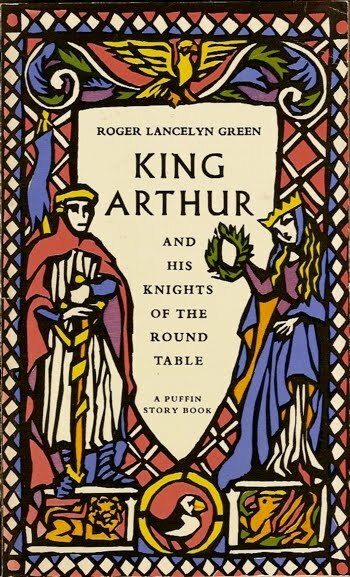 Even the rpg supplement GURPS Camelot, when describing the different interpretations of King Arthur, talked about the historical Arthur, the Arthur of the Romances, and the Arthur of modern pop culture, but never mentioned the Arthur of Welsh myth. But if you look back at the original surviving Welsh fragments, they are more fantastical than Mallory not less, presenting a folk hero in the style in Heracles or Sigurd, rather than a historical general. 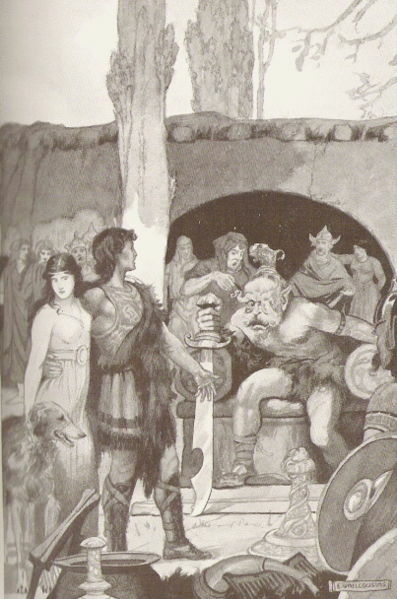 “Culhwch & Olwen” is the only early Arthurian folktale that survives in its (more-or-less) entirety, and it presents a court of Arthur filled with demigods, such as the fairy king Gwyn ap Nudd and Manawydan ap Llyr, and with superpowered heroes, with powers ranging from being able to stamp mountains flat to setting themselves on fire. So what defines the original Welsh Arthurian stuff? Fantastical. Fantasy elements surround the characters. Arthur’s champions (even his dog!) have superpowers and they battle fairies and demigods. There are talking animals, armies of werewolves, dragons, numerous giants, and wide variety of wizards and magical artifacts. Not all the stories even take place in the regular world — the heroes travel into hidden enchanted valleys all the time and frequently enter Annwn, the Otherworld. Pre-Chivalry. Though the time period of the original stuff is not really defined, it is still clearly not the Middle Ages. There are no tournaments or courtly love, no jousting knights. It’s dark ages warriors going on strange personal quests, contending with the remnants of pre-Christian imagery and slaying monsters less for chivalric reasons and more for personal glory. The later pseudo-historical writings of Geoffrey of Monmouth and others has Arthur battling the invading Saxons and Angles; though not part of the original stories, it still fits very well with it. Welsh. The heroes are not English and they certainly do not have the French names and titles that appear in the Romances (Lancelot du Lac, Morgan la Fey, Beaumains, etc.). They are Brythons, the people who became the Welsh and the Cornish, and they have a strong cultural identity. Perhaps the last is the most important point about the early Arthur stories. They were cultural stories presenting the heroes of the Brythonic people, heroes that defined Welsh and Cornish identity. Though the English later appropriated Arthur for their own purposes, in the original stories he was clearly Brythonic and Celtic. A hero of my ancestors rather than my ancestors’ conquerors. I haven’t been posting much here recently, largely due to all the numerous projects I’ve been engaged with. I was working on a novel last year and thinking to myself that I really hoped to get it done soon because the thing I really wanted to work on was “Wizards of Wales,” an adaptation of Welsh myths looking at various wizards and enchanters. Then I realized “why I am I working on a book I’m not interested in when I could be focusing on the one I am interested in?” Thus I switched over from Guardian of the Garden City to Wizards of Wales. 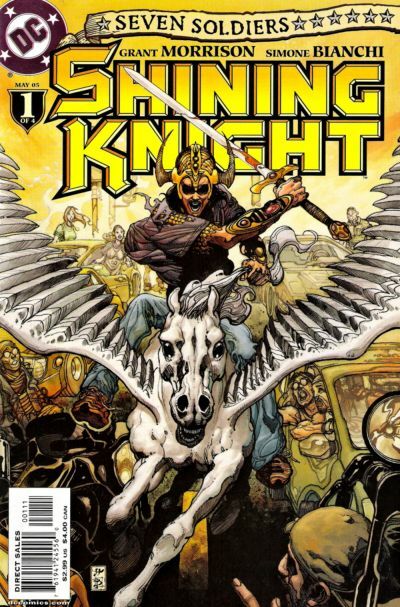 Then while researching for that book, I got really interested in the Welsh version of King Arthur, which has surprisingly little influence on later King Arthur retellings. Even stories that claim to be about the “real” King Arthur are more interested in simply moving the events of Le Morte d’Arthur into a more historical time period (Mists of Avalon) or adapting Geoffrey of Monmouth or other early pseudo-historical Arthurian works but ignoring the actual Welsh stuff (Mary Stewart’s Crystal Caves series). This is a real shame, as the original Welsh stuff is fascinating. Its champions possess bizarre powers and strange personalities, fighting giants and monsters in mysterious quests. 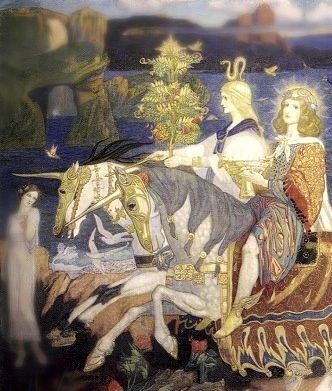 In Culhwch & Olwen, the only original Welsh Arthurian story to survive in its entirety, Arthur’s court includes various demigods, such as Manawyddan ap Llyr (of the Mabinogi), Gwyn ap Nudd (king of the fairies), and Morvran (son of the goddess-witch Ceridwen), as well as figures with such a range of powers as superspeed, superstrength, flight, fire-generation, and lips so long that the top lip can be curled back and worn like a hat. It feels less like a court of medieval knights and more as a more bizarre version of the Argonauts of Greek myths or the Avengers. It is crazy and awesome, full of magic and passion — truly the folktales of the Welsh people’s most famous folkhero, rather than Norman-style knights in armour. Trying to piece together all the old Welsh stories and fragments, combining them together into a coherent narrative, has been a really fascinating experience, and resulted in what was originally going to be one book on Welsh myths splitting into two: Wizards of Wales and Arthur, King of the Brythons. It’s something I’ll be exploring further in this blog, looking at aspects of King Arthur that sadly are rarely explored.